The year 2014 saw a huge surge in eCommerce revenues across the globe. According to a report by Forrester, 2015 will be no different wherein eCommerce revenues will continue to grow as new brands enter into the global road-map and execute new strategies. New businesses are offering creative products and services to win the eCommerce game. The online buying behavior of shoppers has continued to evolve and present new opportunities for marketers. This certainly is a challenging industry to be in but nonetheless exciting. 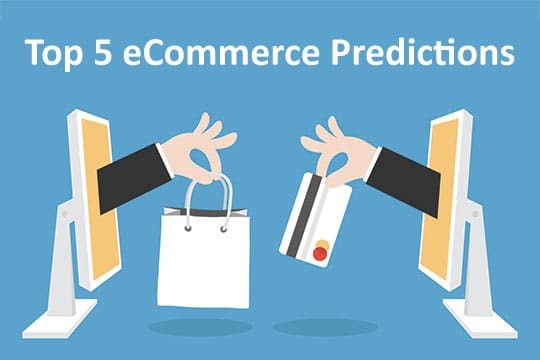 Here are the top 5 eCommerce predictions that will govern the latter half of the 2015.
eCommerce has evolves faster than we expected. The growing smart phone usage has been leading to huge traffic and conversions. With competition ever increasing, established sellers willing to stay on top are bringing out mobile platforms that facilitate personalization and better user experience. Big brands like Dyno.io are taking help of efficient A/B testing platforms like Optimizely and Experiment Engine. CRO optimization and personalization is no longer limited to the large firms. Even startups and small businesses are finding it easier to earn their chunk of the market with well tested and personalized online selling platforms. Mobile apps market is growing bigger and soon every business on the planet will sell services and products through apps. Regular experiments are necessary to identify the strong areas of your eCommerce business. Most buyers in the eCommerce industry are accessing their orders from mobile phones and devices rather than the traditional desktop. On the go lifestyle and internet of things are the major factors behind the growth of mobile commerce. This has been helped by larger screen and easier mobile solutions for payment and shipping. We are already aware of the April 21st Mobilegeddon by Google but even Bing is following suit. Search engines are now giving priority to website which is mobile friendly and easily accessible. This only means that the industry is getting more focused on mobile commerce than ever before. Mobile traffic has in fact surpassed the desktop traffic. If you haven’t yet invested in a responsive website and app, it’s high time to do so. Your mobile website and apps are turning into your new selling points. It’s a matter of time when drones and quad copters will be implemented into the eCommerce delivery process. When it happens, it will be revolutionizing the way people shop. We are at a point in time when a niche hobby is becoming a global pursuit and making global headlines. Amazon is already close to this innovative delivery process. This will make the shipping faster and easier. Retailers that haven’t yet been able to establish an engaging customer experience will soon cease to make profits. With competition increasing, only a strong brand and an enriching customer feedback will make brand stay afloat in the business. You can’t just copy/paste product descriptions from other websites, even it is about the same product. Customers are looking for uniqueness and you can deliver it with high quality content and a streamlined process of product delivery. 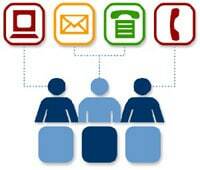 Today customers want more information about the product and services. Apart from providing information about the products, you can offer them information about latest industry news too. This way they will feel connected. It really helps in increasing brand awareness. Apple watch was the first but several others are already following suit. eCommerce businesses and retailers need to come up with features that can be integrated into wearable technology with “glanceable features”. It will be quite exciting to see what changes this technology brings in the eCommerce market. Wearable technology will soon replace the desktops and larger screen devices. “Change is the only thing constant” and this statement holds absolutely true for the online retailing business. While technology is being constantly upgraded and innovated and consumer demands and expectations changing, retailers are finding it hard to match up. Those who have been able to put up to the challenge have seen a huge surge in demand and those who haven’t are already going down the lane. This article is written by Michael Thomas. He is working as a Marketing Manager at Vebology, a company which provides eCommerce solutions. Apart from writing, he likes to share growth hacking tips to help small businesses in achieving their goals.